Nothing compares to the glamour and glitz of the 65-year-old Cannes Film Festival, the most prestigious international film festival in the world. Held over 12 days every May in the breathtakingly beautiful city on the French Riviera, Cannes draws the top tier of A-list celebrities for the screening and judging of important films from the previous year. Booking early has many advantages. 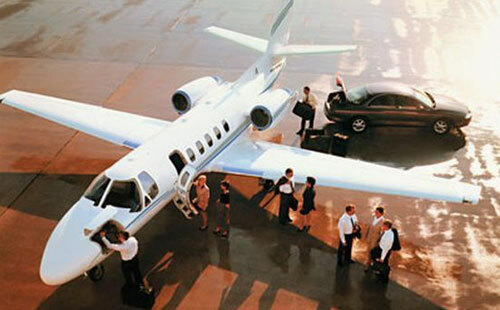 Enter a few details below to start planning your private jet flight to the Cannes Film Festival. The world’s most famous film festival got its start in the 1930s as a result of a protest against the winners – and one famous loser – of the Mostra de Venezia, the first international film festival which was held in Venice. In 1938, after several years of favoritism at the Mostra toward films made in fascist countries, especially Germany and Italy, a hugely popular film was snubbed. A group of critics and filmmakers got together and petitioned the French government to sponsor an alternative film festival in which political bias would not come into play. 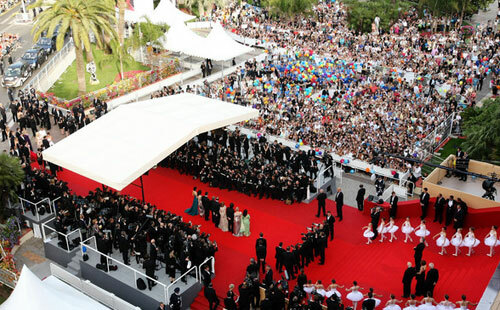 Several cities were considered but Cannes – with its beautiful location -- was the one that actually agreed to build a venue for the event. In the early days, Cannes was an event for rich tourists and European socialites who went more for the parties than to watch films. While, over the years, it became a serious film industry event, it remains an event for socialites and celebrities. Luxury yachts are synonymous with Cannes. Dozens of them can be seen moored in the harbor. Cannes exploded in the 1950s, thanks in large part to the movie stars -- like Kirk Douglas, Sophia Loren, Grace Kelly, Brigitte Bardot, Cary Grant and Gina Lollobrigida -- who descended upon the festival. Top-shelf stars like Sienna Miller and Jake Gyllenhaal still come to Cannes, some because they are in a film in the competition, others to be act as a judge at a competition and still others just to see and be seen. There is no watering hole where you can spot them all. It’s usually a matter of being at the right place at the right time. Check out nearby cafes and restaurants as well as hotel lobbies (if they let you in). Of course, you can always see them on the red carpet – if you can successfully jockey for a place up front. Get there early and try for a spot on the road looking straight toward the Palais steps. If you get much closer, you’ll have to fight off the paparazzi to get a peek. Palme des Palmes: an award given to an individual or group to mark an exceptional career. Red Carpet Steps: The 24 iconic red-carpeted steps on the Palais that are climbed each night by 2,300 different invited guests. It’s strictly black tie -- that is, unless you are a celebrity. For the celebrities, anything goes. Promenade de la Croisette: The mile-long boulevard along the Mediterranean Sea where the Cannes Film Festival is held. There are many expensive shops, hotels and restaurants along the route. Palais des Festivals: The convention center in Cannes where the festival is held. Marché du Film: The market held in conjunction with the festival where sales agents sell rights to show films to distributors. It’s also the place where industry professionals get together to buy and sell items related to the film industry. Take a ferry to Ile Sainte-Marguerite where you will get and amazing view of Cannes. On the island is the fortress containing the cell in which the Man in the Iron Mask was held. There is also a museum containing artifacts from a Roman shipwreck. Attend Mass with the monks at the monastery on the Iles de St. Honorat. See the lights of the city from Eglise Notre Dame d'Esperance, a 500-year-old church perched high above Cannes. Shop along Rue d'Antibes, the main shopping street, or along La Croisette, the street along the Mediterranean Sea that is lined with designer shops, restaurants and ice cream parlors. Eat at one of the great restaurants in Cannes, including Noisette Cafe Et Cuisine on Rue Tony Allard; L'eponyme on Rue de Bone; and Grill and Wines on Rue Notre Dame.